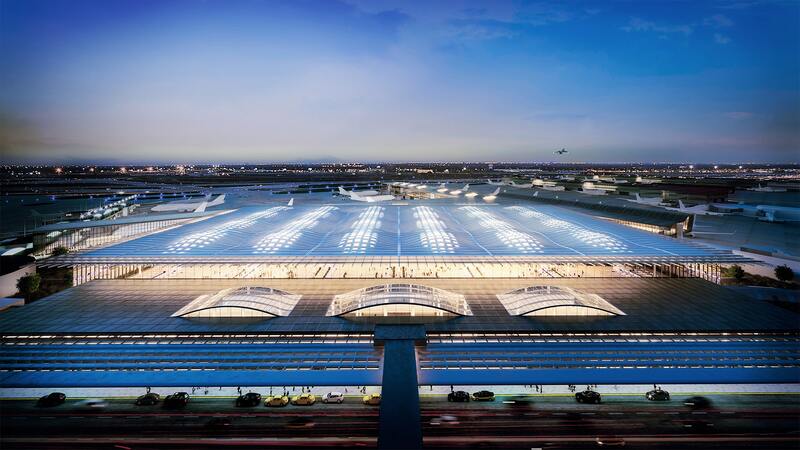 Mayor Rahm Emanuel joined the Chicago Department of Aviation in taking the next step forward in selecting a lead architect for O’Hare International Airport’s $8.5 billion expansion. 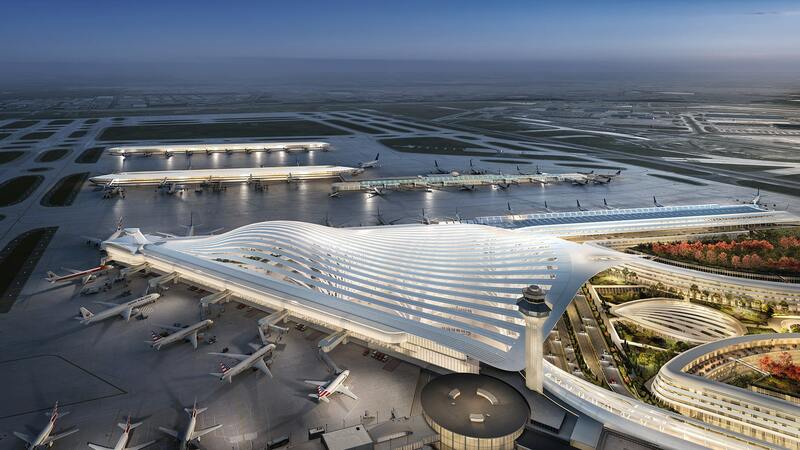 The City has unveiled the designs of five architecture finalists with renderings and models representing the potential future O’Hare Global Terminal. It is now inviting the public to review the designs and share their opinions on which best represents a modern airport and the City’s aviation future. The winning teams will deliver designs for a new, modernized terminal that will dramatically improve first impressions of the city for tens of millions of visitors every year. This unique opportunity represents the first time the City of Chicago has involved public feedback in a design competition at its airports. At 2.25 million square feet, O’Hare’s new terminal will be among the largest terminals built in the U.S.
From 18th through January 23rd, residents and the traveling public can view the new terminal designs, and share their feedback in one of three ways: by visiting terminal models at the Chicago Architecture Center (CAC), by visiting a special exhibit at O’Hare’s Terminal 2, or by viewing online at www.VoteORD21.com. The feedback period ends January 23. Both the CAC exhibit of terminal models and the special exhibit at Terminal 2 will run through January 31. Residents as well as the traveling public are encouraged to give feedback by taking a one-time survey by January 23. 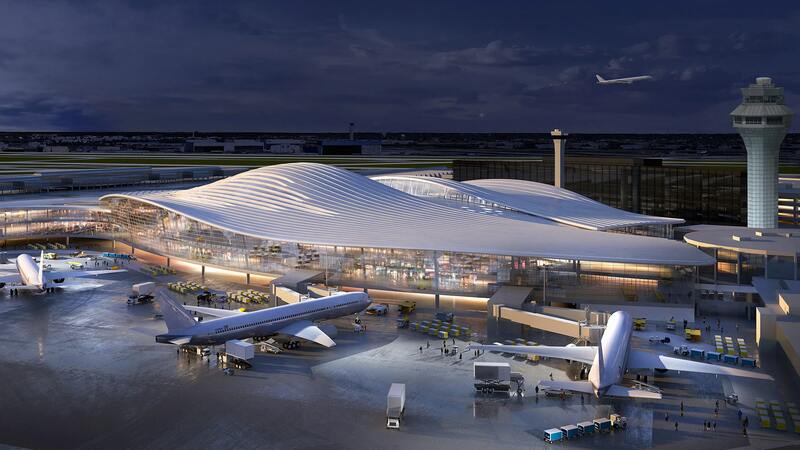 The survey includes five questions about the design concepts, as well as the new terminal features and expansion plan that will elevate the overall experience at O’Hare. This feedback will be considered in the final architect selection. Five 3D models are now on display at the Chicago Architecture Center, located on 111 E. Upper Wacker Drive. 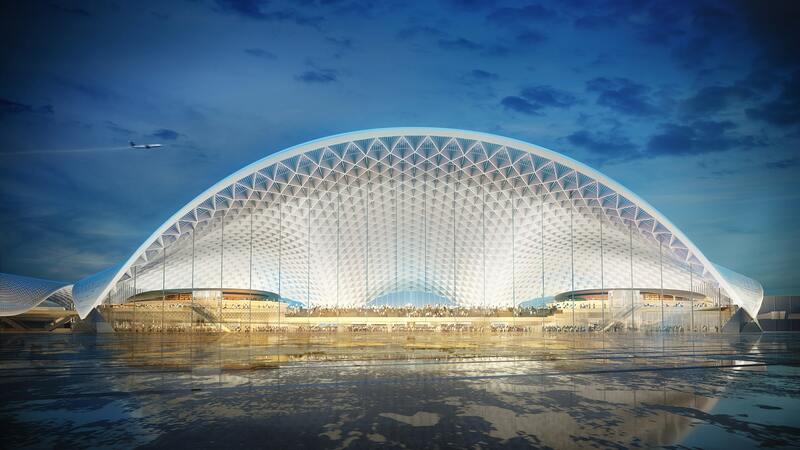 The design teams were asked to deliver innovative designs to build a cutting-edge new O’Hare Global Terminal, while reflecting the legacy of Chicago’s innovation, architecture and diversity. Viewing of the O’Hare models and designs is free but admission prices apply to other CAC exhibits. To encourage participation, CAC is offering discounted student admission $6 to all exhibits (with student ID) over the MLK Holiday weekend (Saturday, January 19 through Monday, January 21). 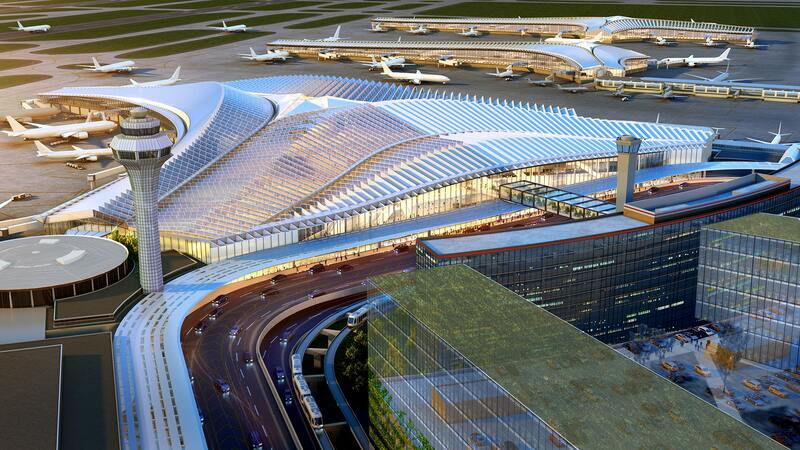 O’Hare 21 is Mayor Emanuel’s vision for a modern O’Hare. O’Hare 21 calls for a dramatically improved travel experience, better access and amenities for customers, capacity to accommodate today’s fast-growing aviation industry, and builds the foundation to fuel Chicago’s leading connectivity. The centerpiece of this program is the $8.5 billion expansion of O’Hare, set to increase gates, terminal capacity and amenities, and enhance the city’s leading global connectivity. Over the next decade, O’Hare 21 is anticipated to create tens of thousands of construction jobs, and to continue growing economic opportunity to support the City and its future. To give feedback on the O’Hare expansion, visit www.VoteORD21.com today.